Hope you all had a great week and have an amazing weekend. 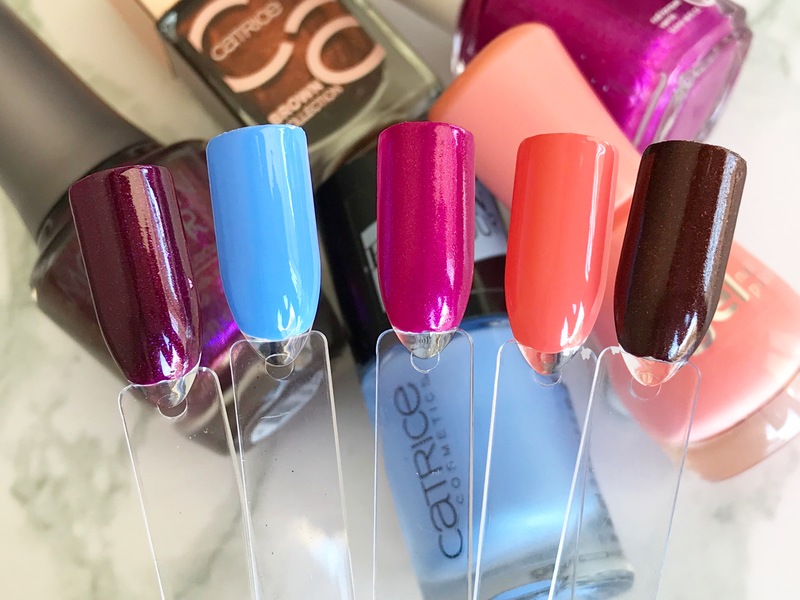 Today i’m sharing my 5 favourite nail polishes colours from various brands like Catrice, Morgan Taylor, Essence and Essie. I’ve said this so many times, but this colour is my favourite colour in the world! 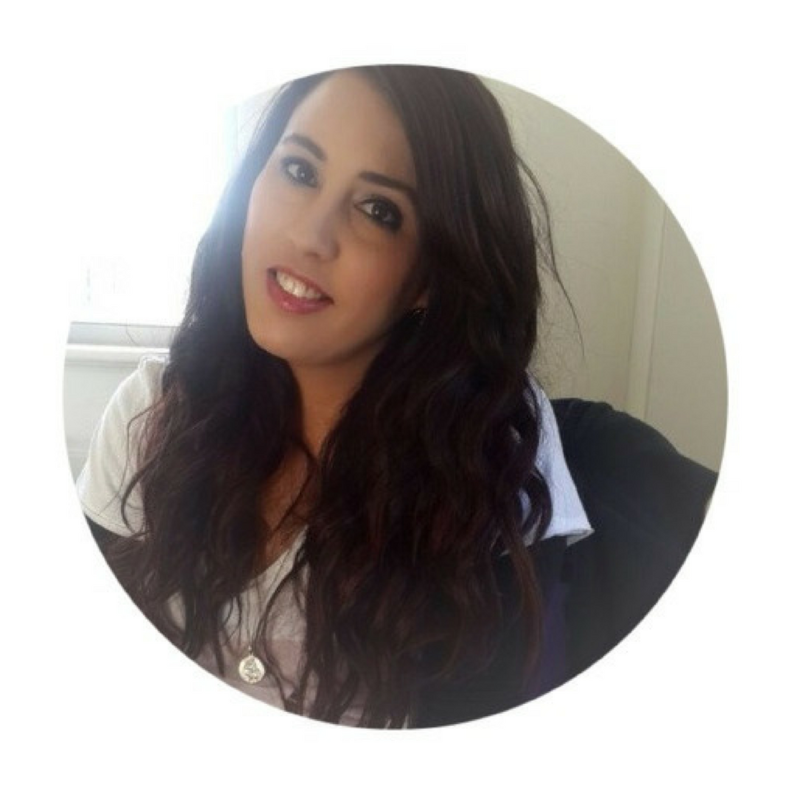 I feel like Morgan Taylor has created colours like no one else has, well until recently a couple brands have tried it, but for me Morgan Taylor is number one. They have created this shimmery no glitter glitter formula that i absolutely love. 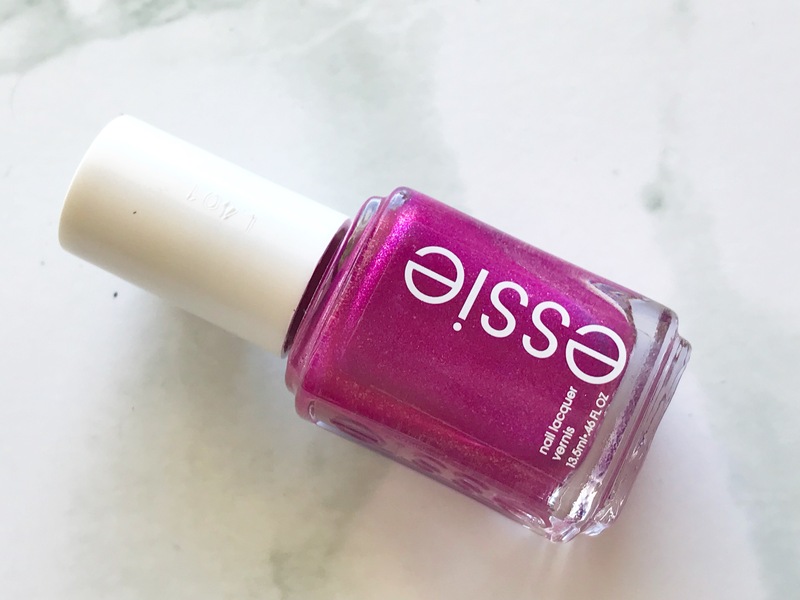 Rebel With a Cause is a beautiful burgundy wine shade with a stunning gold shimmer. The photos don’t so the colour justice, in direct sun it is BEAUTIFUL! How beautiful is this shade, it epitomises a clear summer day. Its such a bright and friendly colour. 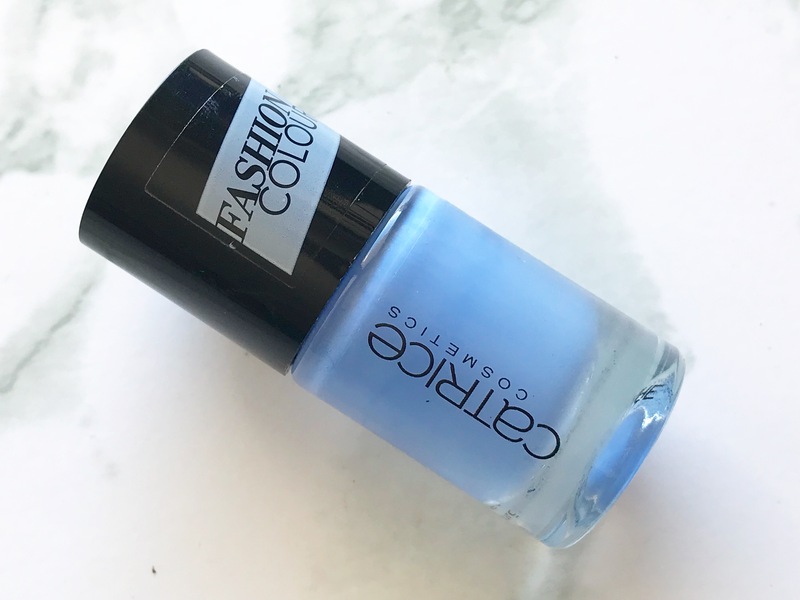 This colour i got ages ago as i don’t think Catrice make/sell the Ultimate Nail Lacquers anymore, i think the IcoNails Gel Lacquer Polishes have replaced them. 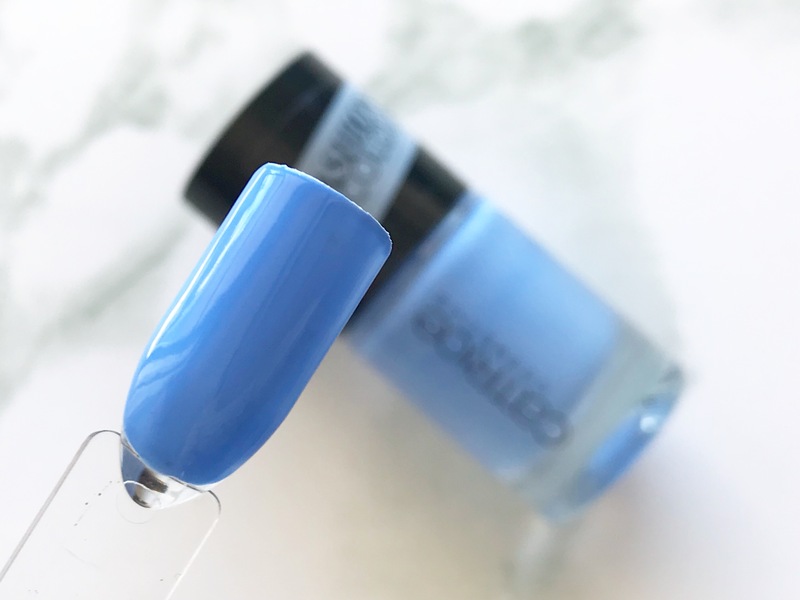 I own a few blue shades from various brands but nothing comes close to this colour. 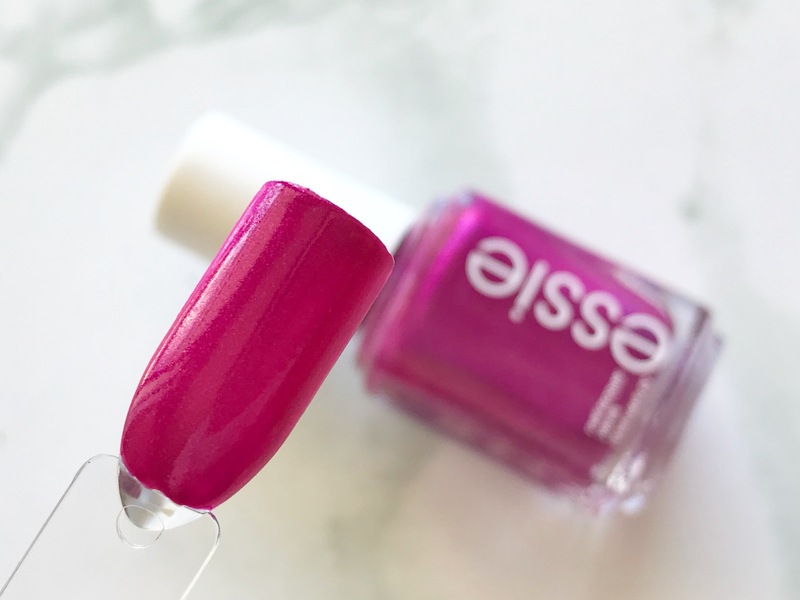 This shimmery vibrant Magenta that has glass flecks that look amazing in direct sunlight. Its a stand out colour and screams Spring! This a one of the few colours that get it spot on when it comes to the shimmer formula. 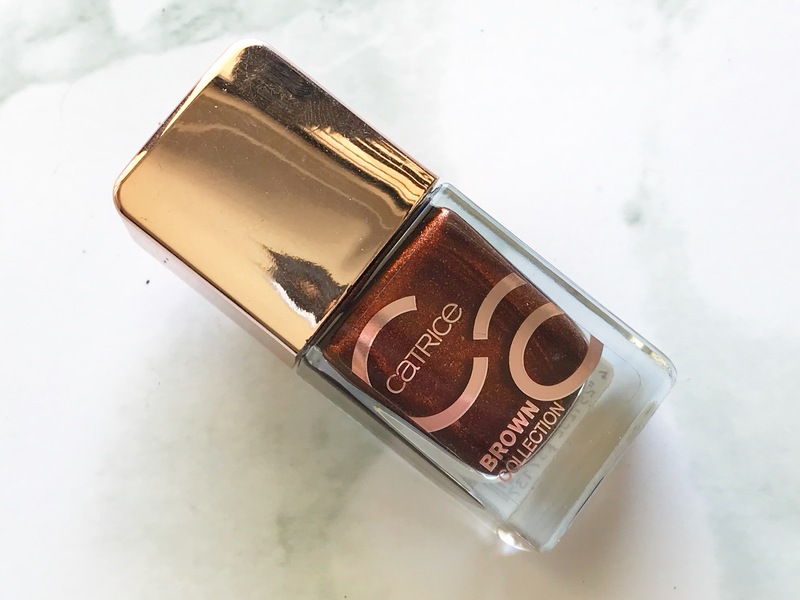 A few months ago i bought the 4 colours in this Brown’s Collection from the then new Catrice IcoNails Gel Lacquer nail polish range. I’ve never been a fan of brown shades and have NEVER EVER owned any brown nail polish before these. I decided to step out of my comfort zone and bought all 4 shades. 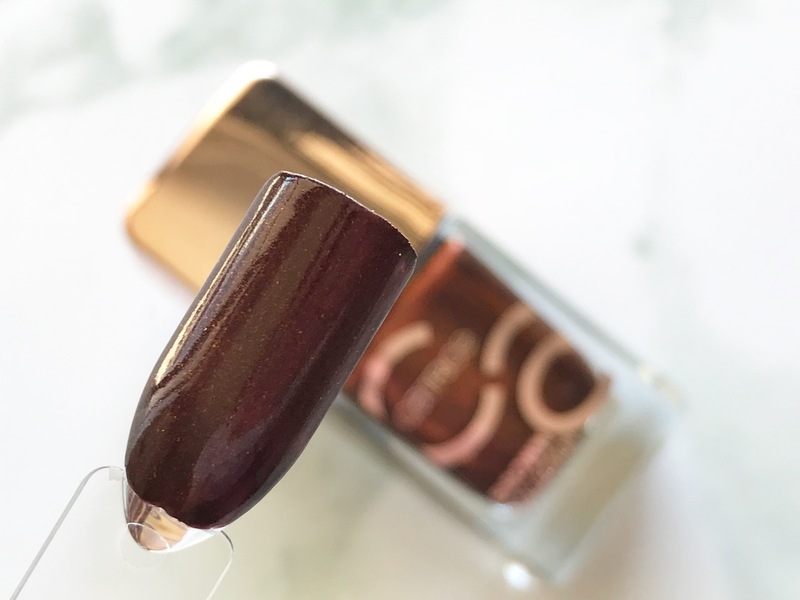 Unmistakable Style is a gorgeous chocolate brown with shimmering coppery gold red flecks in that look absolutely beautiful on the nails and in direct sunlight, I have worn this colour so many times. 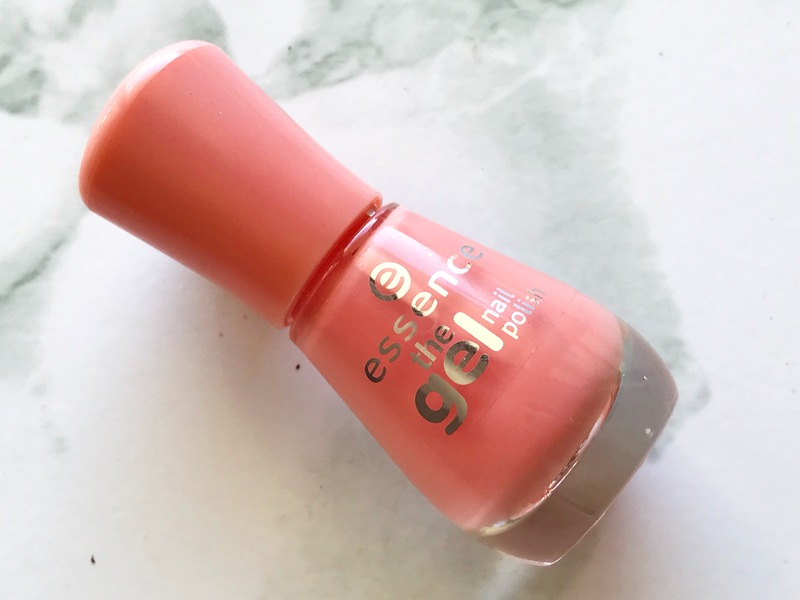 Indian Summer has been one of my favourite shades from Essence for the longest time. 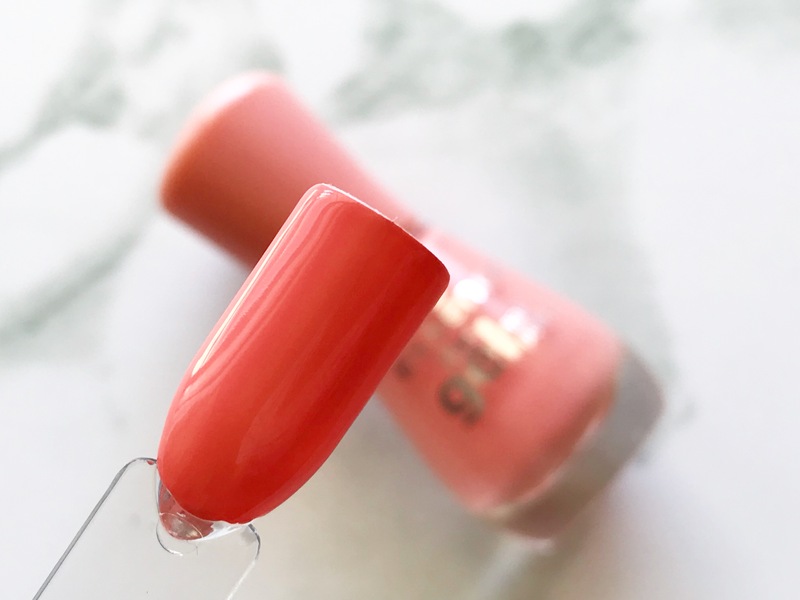 The photo doesn’t do the colour justice, but its a beautiful light coral shade that is perfect for Spring and Summer.